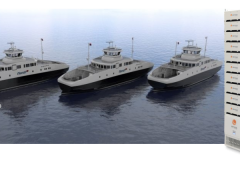 Norwegian ship owner Rederiet Stenersen is building what are claimed to be the first tankers to feature hybrid electric propulsion, with WE Tech and Corvus Energy set to deliver the energy storage solution. The owner is building two 17,500dwt chemical tankers (with an option for two more) at Taizhou Kouan Shipbuilding Co in China. The vessels will employ a direct drive permanent magnet shaft generator and an energy storage solution from WE Tech. Power generated through the shaft or supplied from shore connections will be converted to electricity and stored in a Corvus Orca Energy lithium-ion battery pack. “As far as we are aware, Stenersen is the first company to have installed such equipment on this type of vessels,” said John Stenersen, director ship management, Rederiet Stenersen. 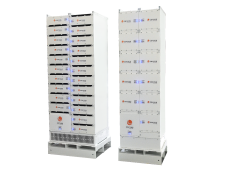 Stenersen noted that WE Tech’s Energy Storage Solution can be used as a spinning reserve to avoid black-out and to decrease the usage of generators on low load during manoeuvring. It can also be used for peak shaving, eliminating the need to start additional generator sets for short increase in loads and ensuring optimal running condition for online generator sets. “Both situations create us savings from reduced generator running hours,” Stenersen added. The first vessel, newbuild TK1201, is due for delivery in the first quarter of 2018. Steel cutting began on 10 November 2016. The WE Tech and Corvus equipment will be delivered in the second quarter of this year.